Amy Davies reviews the HTC 10, HTC's flagship smartphone has a new 12 megapixel camera, a bright f/1.8 lens, optical image stabilisation and a high resolution screen. 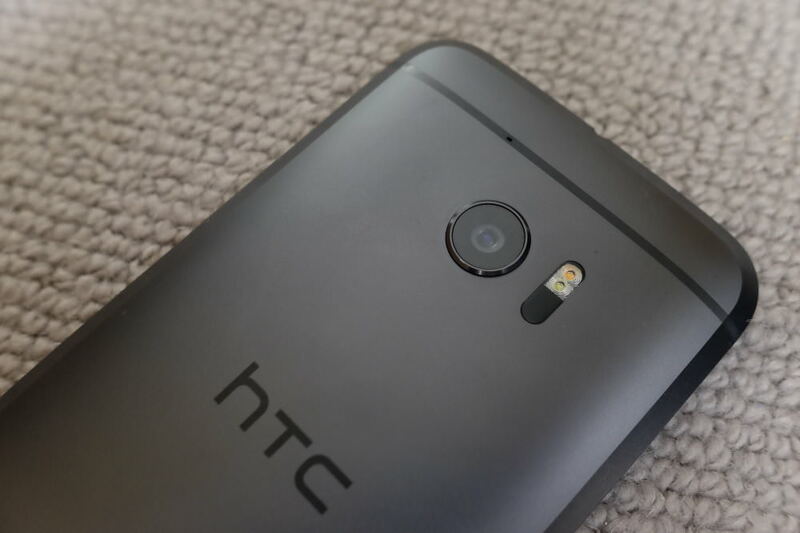 The HTC 10 is a new smartphone which includes a 12 million UltraPixel rear camera, with an f/1.8 lens. 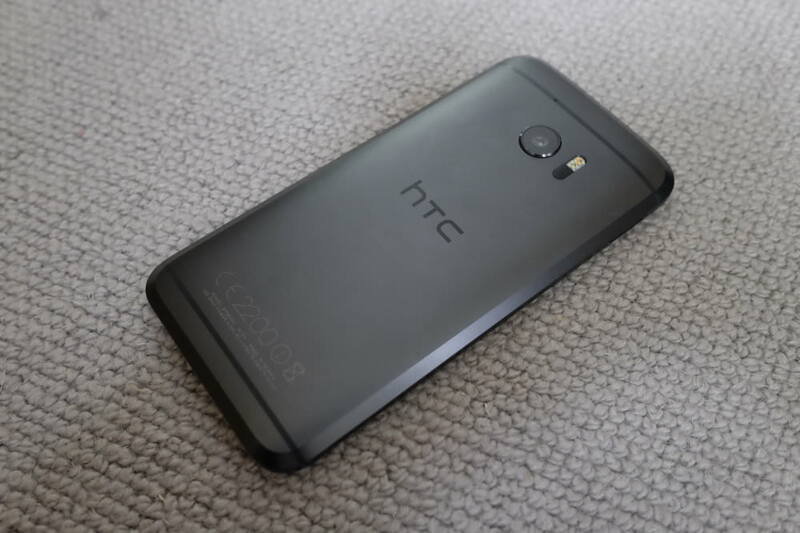 It’s the first smartphone from HTC to drop the “One M” moniker, but it is a follow-up to the HTC One M9. The camera’s sensor is a 12 megapixel BSI Sensor with UltraPixels, which are specifically designed to capture more low light. There’s a fixed 26mm focal length, with an f/1.8 aperture. As well as a fully automatic mode, there’s also a “Pro” mode which features manual control and the ability to shoot in raw format. You also have other options including HDR, Panorama, Hyperlapse and more. The front camera is 5MP, but uses ordinary pixels. Both the front and rear camera feature optical image stabilisation - a feature which is unusual for mobile phones, and again should help with low light shooting. The front lens is a little wider at 23mm, but also has an f/1.8 maximum aperture. With the rear camera you can record 4K video, as well as slow motion video (at 720p). The screen is a 5.2inch 2560 x 1440 pixel device, with Gorilla Glass on a Curve Edge Display. Other features of the phone, which aren’t strictly connected to the camera, but are still useful from a photography perspective include the ability to expand the internal memory by inserting a Micro SD card, a 2-day battery life and a Qualcomm Snapdragon 820 Processor. The HTC 10 uses Android 6 (Marshmallow) as its operating system. 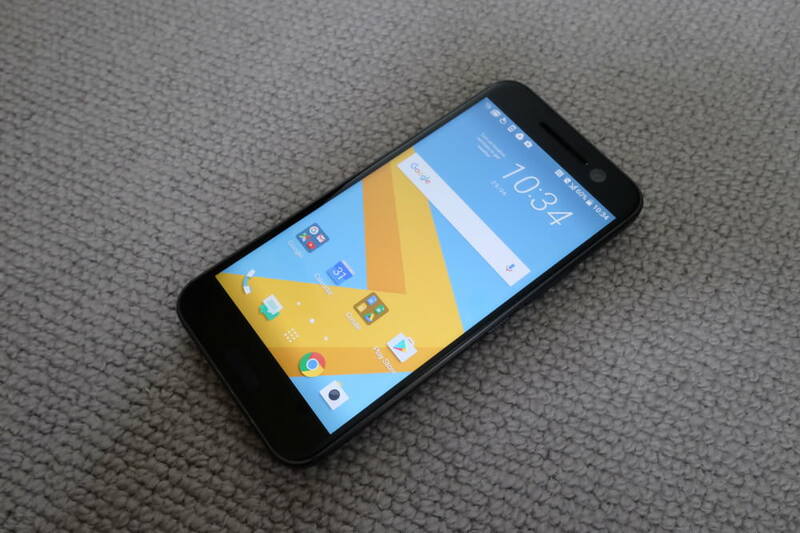 The HTC 10 is, by comparison to many of the other phones currently on the market, medium-sized. 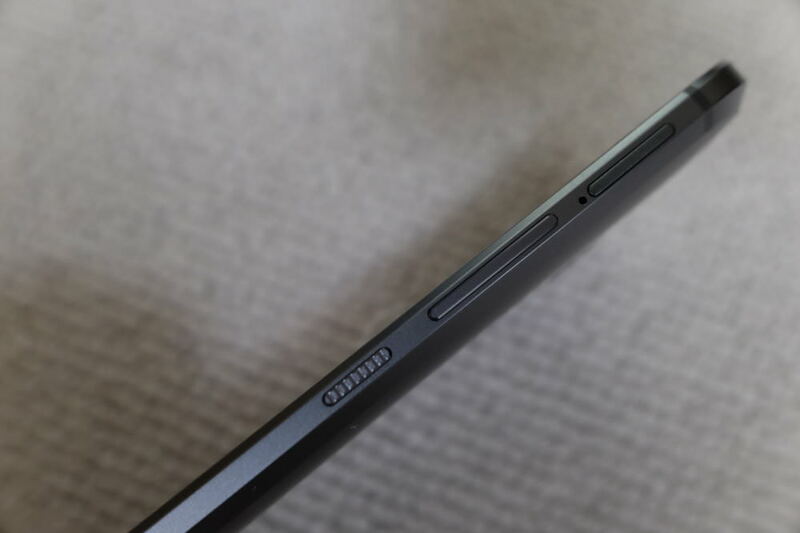 Like many other phones, there are very few physical buttons on the phone, with the majority of operation taking place via the screen itself. There are in fact only three conventional buttons on the phone - all of which can be found on the right hand side of the device. There’s a power on/off button, along with a volume rocker switch. There’s also a sensor on the bottom of the screen, which acts like a button in the sense that you can press it, but it’s not raised like a physical button. You can set the volume rocker switch to capture an image - the first time you press it while you’re in the camera app, the phone will prompt you to set a function for the volume switch. 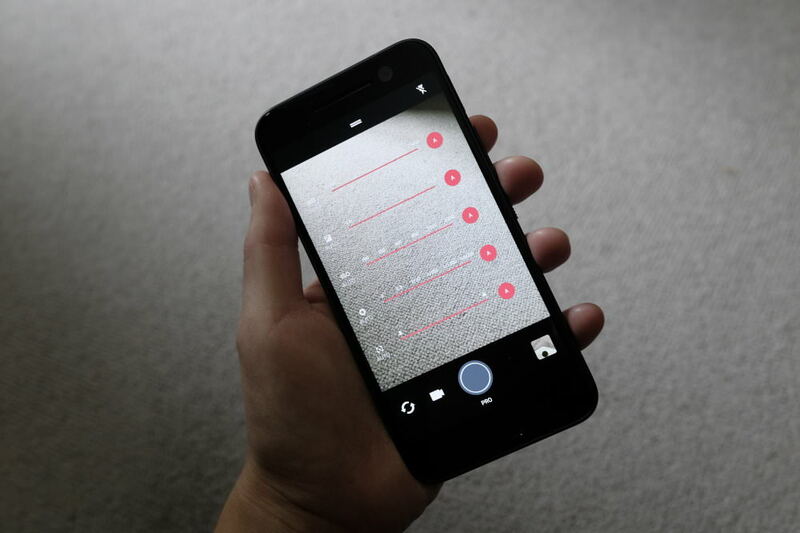 The phone’s native camera app has quite a few different configurations that you can use it in. If you pull a menu from the top of the screen (or the left hand side depending on how you’re holding it) then you’ll be able to choose from standard (automatic) photo mode, “Zoe camera” (a mode that captures a still image and a video together to create a “live” picture), panorama or “Pro” mode from the stills section. From the video section, there’s standard video, hyper lapse and slow motion. Finally, at the bottom of the options, there’s selfie photo and selfie video. Whether in automatic photo mode or in the more advanced Pro section, you can set the autofocus point by tapping on the area of the screen that you want to use. When in auto mode, if you tap you’ll see that just next to the autofocus point you have the option to add or reduce brightness (exposure compensation) by moving your finger up or down. This can be useful when photographing something which is particularly bright or dark. If you switch to the Pro mode you’ll be given a good degree of control over different functions, if not everything. You can control white balance, exposure compensation, ISO (sensitivity), shutter speed and metering. You can’t control aperture. In order to change anything, you click on the icon at the bottom of the screen and choose the value you want - you can also set each value to automatic too, giving you the opportunity to change some values, but not others. When shooting in Pro mode, you have the opportunity to switch on raw format shooting. You’ll find this option by dragging out a side menu from the left hand side of the phone screen. It’s a simple on/off option to switch between jpeg and raw format. The phone shoots in the Adobe DNG universal raw format, so you should find any photo editing software that you use (such as Photoshop) should already be able to open the files. Battery life of the phone is rated at “up to 2 days”. This is for “normal use”, so if you tend to use the camera a lot - especially if recording at high quality settings such as 4K, you may find that it lasts significantly less. However, we certainly found during our time with it that the battery was adequate and lasted the day. You can open the camera app directly from the lock screen, which speeds up the process of being ready to take your shot. You can expect to be from screen off to taking the shot in under a second. Focusing speed is quick when the light is good, but it tends to take a little longer when attempting to focus in lower light conditions. It's nice to see such a thorough review of a smartphone from a photographer's perspective [it's a bit of a double edged compliment to say this is far better than the usual standard of smartphone reviews]. I think this is possibly the first such review I've seen on here that makes me feel I have a good idea of the phone's photographic capabilities as well as its limitations - it answers most, if not all of the questions I'd ask. I only use a phone in emergencies anyway and I'm more or less locked into using Apple, but it's refreshing to have such good info on the competition. Well done and I hope you can match the standard of this in future with such reviews. It's nice to see such a thorough review of a smartphone from a photographer's perspective [it's a bit of a double edged compliment to say this is far better than the usual standard of smartphone reviews]. I think this is possibly the first such review I've seen on here that makes me feel I have a good idea of the phone's photographic capabilities as well as its limitations - it answers most, if not all of the questions I'd ask. I only use a phone in emergencies anyway and I'm more or less locked into using Apple, but it's refreshing to have such good info on the competition. Well done and I hope you can match the standard of this in future with such reviews.